Are you an avid gamer? Imagine having a job where you're surrounded by games. Seems like a dream, doesn't it? Whether it's being a Video Game Tester, where you can play games all day, or working as an Animator or Game Script Writer, there are an array of roles in the gaming industry for you - and the best place to learn how to do them? Escape Studios of course! Here's the roles you could do! Would you love to be at the forefront of creating games? If so, then being a Game Designer is the perfect job for you. As a Game Designer, your day-to-day would involve creating the concept of games, from the storyline and characters, to the structure and rules. Escape Studios offer storyboarding, character creation and design, and much more to get you into the creative mindset needed for a role like this! Do you like watching things come to life? With an Escape Studios Animation course, you can learn how to simulate movements, create image sequences and bring the game design to life! If you love the sound of layer characters, surroundings and objects to create a world, Animation is the path for you! If you like to take a broader approach, maybe Motion Graphics is for you. Whether you'd like to produce graphics for TV commercials, or if you'd prefer to work on UI and UX design for gaming, it's a priceless skill. Learning Motion Graphics, you can learn how to get to grips with industry standard software and learn the tricks of the trade to be studio ready. Into your 3D? Visual Effects encompasses 2D and 3D, and gives you a broad understanding of understanding both software and principles, as well as taking on complex techniques such as particle movement, hair, fur and more. Even better, a Visual Effects course will also allow for you to move into the film industry with ease. 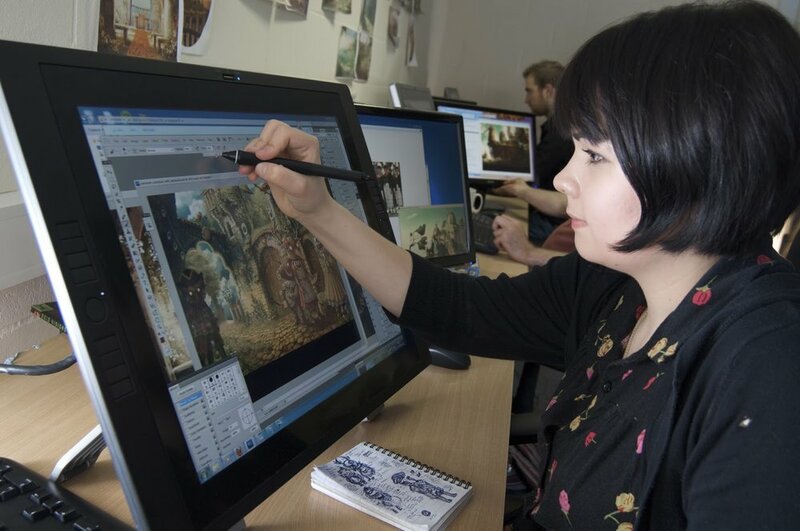 If gaming really is your passion, an intensive Video Games art production course could be the perfect opportunity to cut your teeth. Here, you can learn how to develop your artist skills and creativity, and the course will equip you with all the skills you need for practisses such as digital sculpting and environment art.